The Fox Theatre was opened on May 27, 1969, and at that time was the largest movie theatre in town. It had a gradual sloping floor and every seat was a good one. It held 814 people. It closed on November 4, 1982. Sadly, 1982 was the biggest money-maker year for this place. The last four movies shown were: “Porky’s”, “The Road Warrior”, “Star Trek II”, and “ET”. Today the theater is used by a medical clinic. Prior to its life as a medical clinic, it was a Chuck E. Cheese just before it became the medical clinic. Come to think of it, there was another Fox Oxnard further east, too. Is the building still standing as of July 2006? Thanks. The FOX THEATRE in Oxnard opened on May 27, 1969. It was opened by National General Theatres. The last chain to operate this theatre was Mann Theatres. Yes, building is still standing. Ground was broken for the Fox Theatre in November, 1968. The November 18, 1968, issue of Boxoffice said that National General’s chief of construction, J. Walter Bantau, was supervising the project. The June 16, 1969, issue of Boxoffice Magazine ran a brief item announcing that the Fox had opened on May 27. The new house had 814 seats. NGC’s Fox-West Coast Theatres division was already operating three other theaters in Ventura County; the Fox in Ventura, the Fox in Santa Paula, and the Conejo in Thousand Oaks. 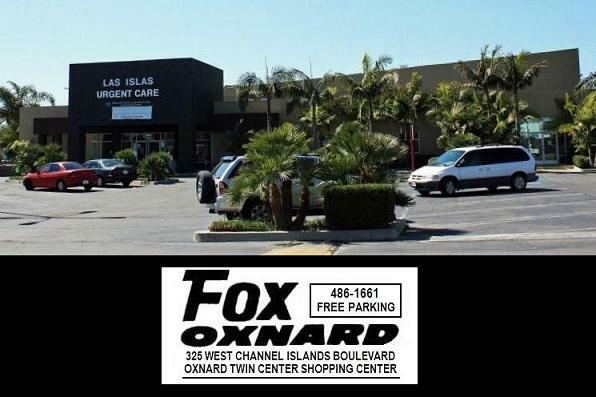 A photo of the former Fox Oxnard can be seen here.